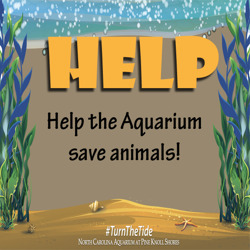 The NC Aquarium at Pine Knoll Shores is proud to have joined 19 aquariums across the country to launch the In Our Hands campaign. The campaign's initiative is to remind everyone to reduce single-use plastic and choose alternatives instead. 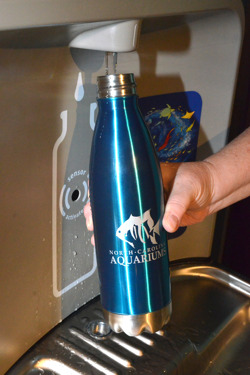 We're walking the walk too - replacing plastic straws with paper straws in our snack bars and adding water bottle refilling stations next to our water fountains. 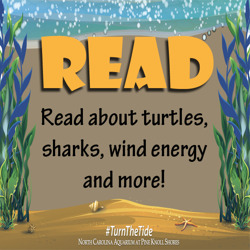 The future of the ocean and lakes and rivers is In Our Hands! 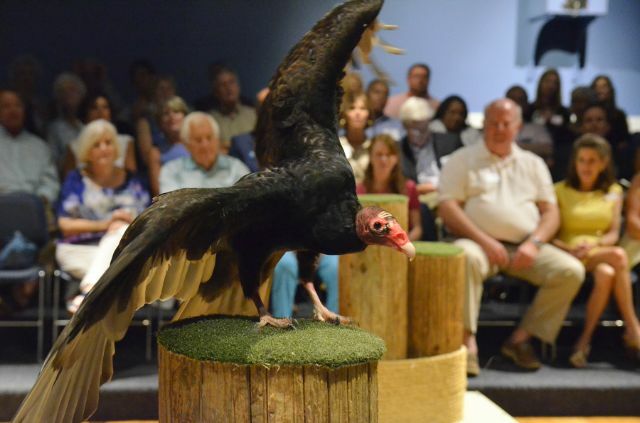 Two types of vultures can be found in North Carolina, black vultures and turkey vultures. 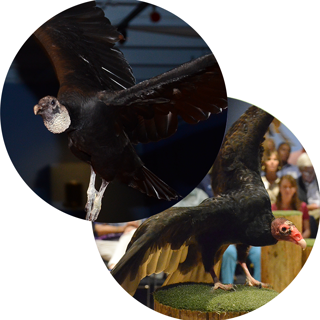 The Aquarium cares for two female black vultures, named Bart and Willis, and one male turkey vulture, named Achilles. 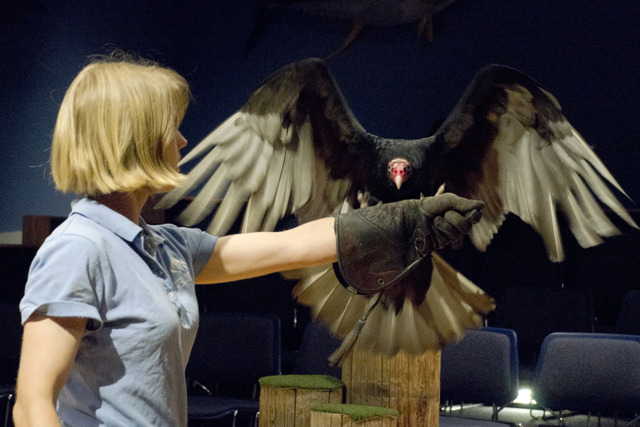 All three of the vultures imprinted on humans at a young age. This means they never learned how to act like vultures or how to take care of themselves. Imprinting is a mental injury that makes it impossible for these birds to survive in the wild since they have to rely on humans to provide food. Birds are not born with the knowledge of what they are but learn it from their parents. Imprinting happens if a baby bird sees a person instead of their parent and occurs soon after they are born. This could be several hours or weeks depending on the species. 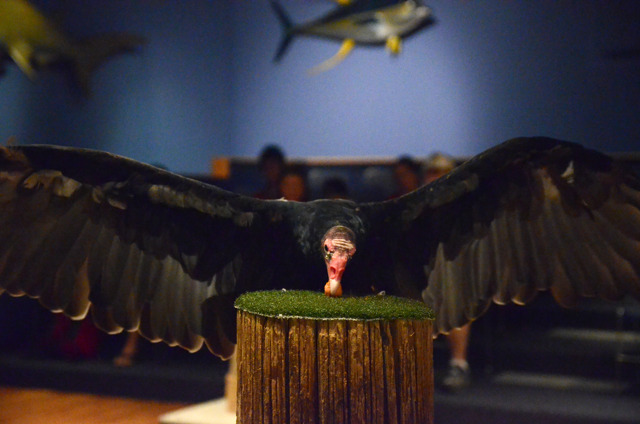 Black vultures and turkey vultures are carrion eaters. This means they mostly scavenge for and eat dead animals. You can often see them on the roadsides eating animals that have been hit by vehicles. 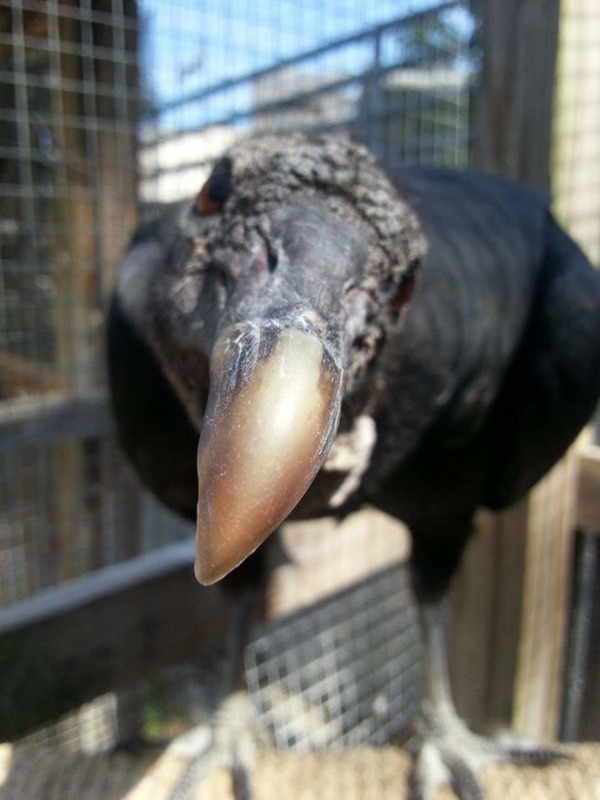 Their beaks and sharp claws are perfect for tearing their food apart. Eating dead animals helps the environment and prevents the spread of disease. 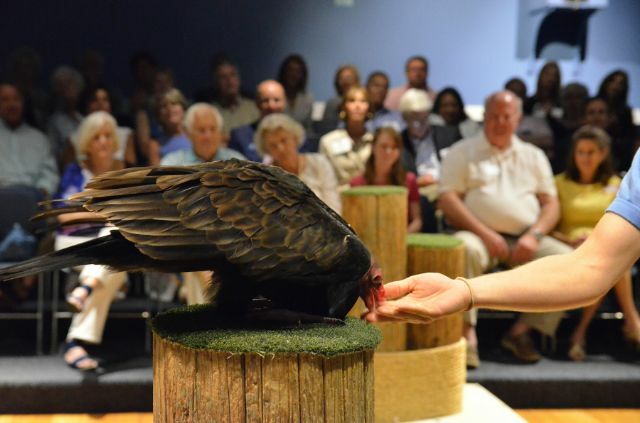 Vultures have a great sense of smell. 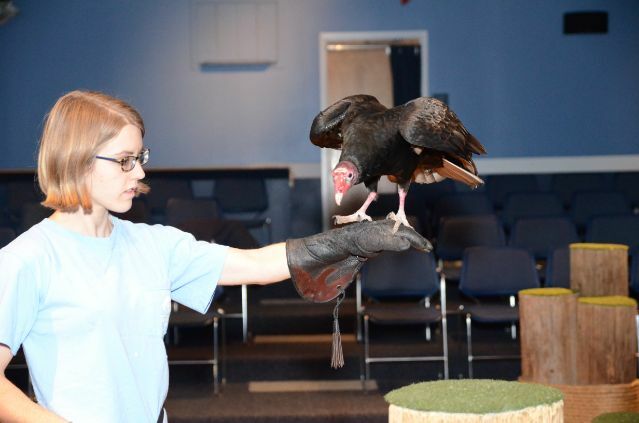 Turkey vultures have a better sense of smell than black vultures and can smell decaying meat from over 20 miles away and can determine which direction it originates. 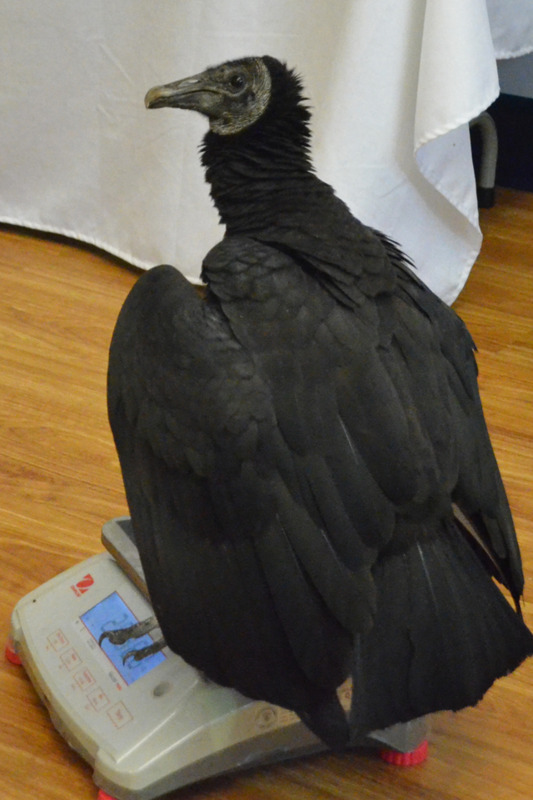 This is why black vultures, which rely more on eye sight, will often follow the turkey vulture to a food source. 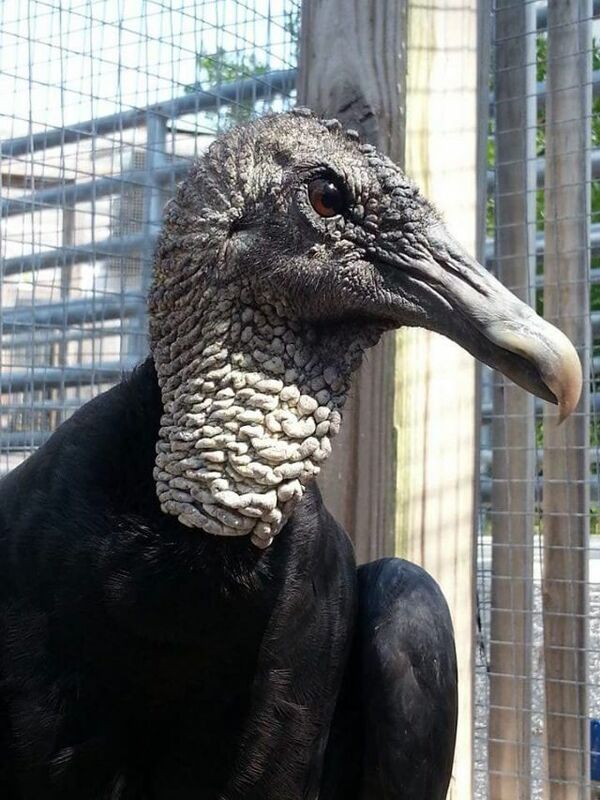 Most vultures have bald, feather-less heads, which is great for carrion eaters! Because there are no feathers to get covered in rotten meat and the sun and rain can help easily clean the vulture’s feather-less head. 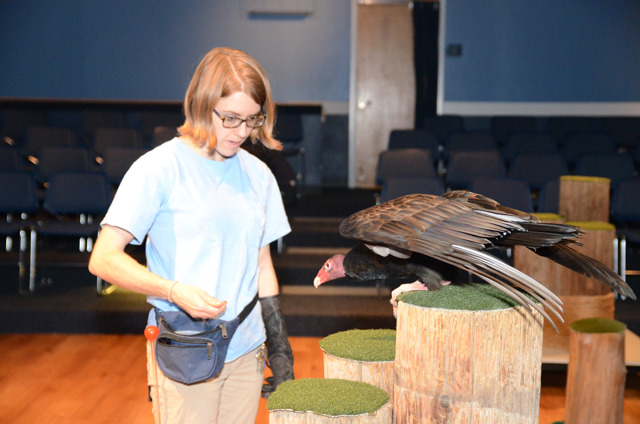 The turkey vulture has the bright red head. 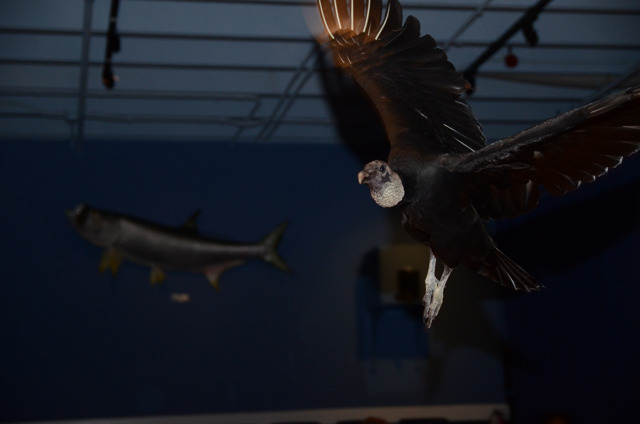 Because vultures are scavengers, they are often affected by lead poisoning that comes from lead bullet fragments and fishing sinkers left in the dead animals they find and eat. When hunters use copper bullets they can help save vulture, bald eagles and other scavenging animals. 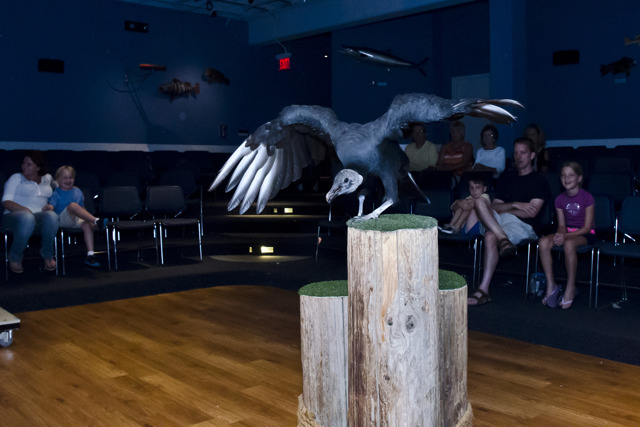 An enrichment session provides challenging activites for an animal to keep them healthy both physically and mentally. 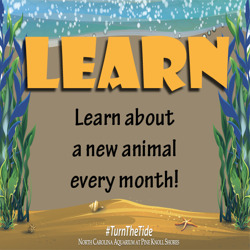 Check out our Meet the Animals Archives for fun information on animals that were featured in the past.